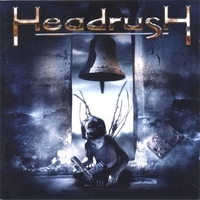 Headrush is one of the most exciting new hard rock bands ever to come out from Italy ! Mastermind is renowned guitar wizard Alex De Rosso (ex Dokken) who joined forces with Labyrinth singer Roberto Tiranti with the precise task to create the ultimate hard rock band ever to come out from Italy. The inception of the recording happened in the summer 2004 when Alex started to write the material in cooperation with Pat Scalabrino, producer and discoverer of such bands as Labyrinth, Eldritch and Vision Divine. The music raised the interest from Roberto and together with Dave Fini on drums and Mauro Catellani on bass the line-up was soon completed. The Headrush debut album is an absolute and unmissable affair for all the lovers of the classic Lynch Mob, Dokken with hints of the more melodic Labyrinth moments.